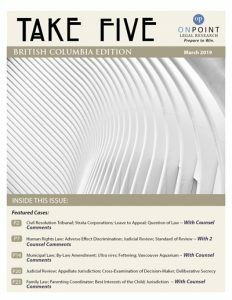 In the March Alberta Take Five issue, we have summarized what we think are the five most interesting cases from the BCCA in February. 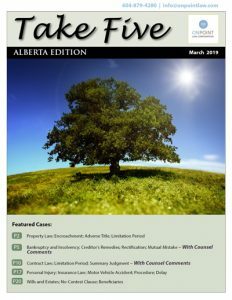 Thank you to Kent Jesse and Timothy Byron for contributing their comments. “I realized a long time ago that I have no real skill as a legal researcher- nor do I enjoy it. It makes more sense for me to hire OnPoint. 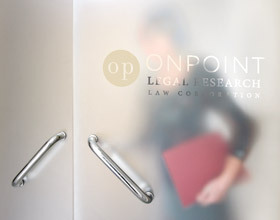 I was amazed at the level of research the first time I used OnPoint- basically with very few changes I converted their memorandum into a winning trial argument.